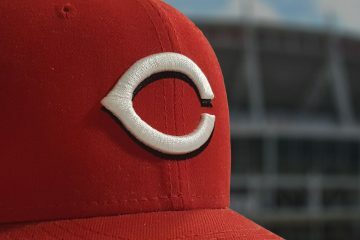 The Cincinnati Reds reportedly have about $30M to spend this year. That is according to Paul Daugherty of the Cincinnati Enquirer. It’s buried in fifth paragraph of an article he wrote on Wednesday morning. Talk about burying the lede. That, if correct, would put the Reds at about $130,000,000 for payroll in 2019. Over the weekend we looked at some of the players that the Reds could possibly target and what their contracts could be. On Monday it came out at the General Manager Meetings that the Reds were interested in starting pitchers Patrick Corbin, Dallas Keuchel, and J.A. Happ. Two of those three are the types who would never have been on past Reds radar. They would require too much money for too many years. The Reds have never played in that kind of market in free agency. What could the Reds do with their money? The MLB Trade Rumors expectations are higher in two of the three player projections. The money is there to sign any one of these guys. If the numbers are perfect on the low-end, maybe they could land J.A. Happ and one of the other two. That would be highly unlikely. First, I believe that the Reds would need to pay more than “market” to get anyone to come in. They have been a bad team for quite a while. If another team is making the same offer, the odds are very good a player would choose the team more likely to win. Unfortunately, that’s not Cincinnati right now. Toss in that the team is also focusing on pitching, and the ballpark plays another role. Fair or unfair, the perception is the ballpark hurt pitching. 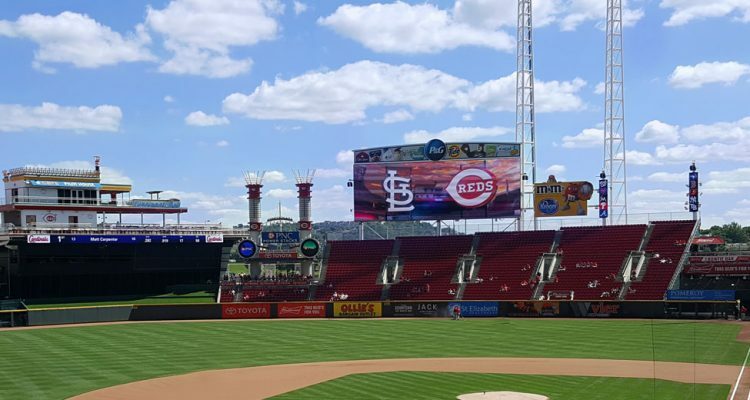 You probably need to pay a little more to get someone to choose Cincinnati over a team who doesn’t have a “ballpark issue”. That, of course, only focuses on pitching. And it only focuses on the free agents. The Reds could look at trading for a player. Or they could look into bringing in a free agent position player. They may even look into bringing in some help for the bullpen, too. With all of the talk they’ve made in the last two weeks, they almost HAVE TO sign one of the above starting pitchers or a lot of the fanbase will view the offseason as a failure and a lie. That is, unless they make a big trade to bring in someone on par with one of those guys. I think the Reds can be more competitive in the trade market than the free agent market, where the ballpark/bad team penalty hurts them more, right? 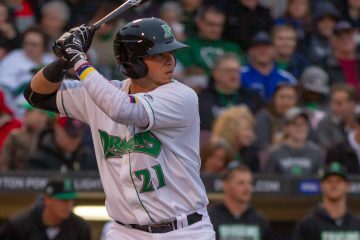 Suppose they made a big move for someone like Paxton, Kluber, or Carrasco. What could they get with the money left over to plug any holes (Winker? 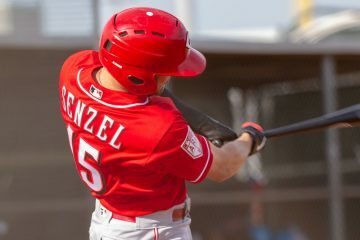 Senzel?) that such a trade might create? I highly doubt the Mets are planning on trading wheeler given that their rotation is already much better than ours and they have given zero indication they are starting a rebuild. I would DFA or trade Billy and try to trade for Greinke because you could give up like no prospects and then sign Ryu/Evoldi or I guess Harvey. Evoldi may cost too much though but I can’t imagine he would given his injury history and lack of track record. Not sure trading Wheeler, who has a single year of control left, would be stating they are “rebuilding”. There were a lot of rumors going around at the deadline last year that they were listening to offers on him. I actually do not hate the Greinke idea, but the Dbacks are going to have to cover a lot of that salary for us to take him on. That would also dry up a lot of the money used on other free agents. Doug, do you see the Reds attempting to trade RobertStevenson, Finnegan or Cody Reed this off season? Can’t see them going into the season with all three of them on the 40 man. Not going to get much for any of these guys. The only one someone might want (other then a minor league contract) is Reed. Bob Steve is a head case, and still thinks walks are ok.
Cody sometimes looks ok, but mostly not. How is Finnegan a bust? He is the only one to show that he can pitch at the MLB level. He had a bad year coming off injury which was not unexpected. Quite honestly the Reds rushed him back. I can see being concerned about health. But when healthy he is a real good lefty reliever and potentially a solid starter. Finnegan was also brutal in AAA as a reliever. It wasn’t just his time with the Reds that he didn’t perform well. He’s two years removed from a decent season, but even that year the peripheral numbers didn’t suggest that was sustainable. I don’t know what constitutes a bust, but he’s not someone I’m counting on to contribute or even believe is safely secure in his roster spot. I want to believe in Finnegan as much as the next guy, but c’mon Patrick. Even when he was healthy and at his best, he had a below average strikeout rate, a sky-high walk rate, and an awful GB%. He snuck his ERA below 4.00 in 2016 but his peripherals all suggested his true value was of an average #5 starter at best. And that was before the injury, and before a full season of being absolutely pounded by AAA talent no matter what role they put him in. His stock was never that high to begin with, and it’s certainly bottomed out. I won’t go so far as to say he’s done, but betting on him to be anything more than maybe the 6th or 7th best reliever on the 2019 roster is a bad bet. 2016 was a tale of two halves for Finnegan. His peripherals were fine in the second half and told a story of a guy that was better than a #5, by quite a bit. The injuries, though, have sapped his abilities. 2016 was so long ago, i had forgotten how strong he finished the season. That being said, I can’t imagine 8-10 starts in 2016, half of which came against September rosters, would carry much weight in projections for 2019 and beyond. It’s a fun footnote, but hardly relevant. Though I hope I’m wrong. It’s definitely not carrying much weight at all for 2019 projections. Nor should it. Because he’s not that guy anymore. But when discussing his 2016, it’s very important to note how his season broke down if we are going to talk about what we *should have* expected from a healthy Finnegan in 2017. We just never got to see a healthy Finnegan after 2016. Would rather resign Matt Harvey then gray. 4.9 ERA is not going to cut it. Trading Billy and Scooter and signing Keuchel, and Bring up Nick makes a lot of sense. I think Corbin is heading to the Yanks as a long time fan. If Corbin and Dallas are too pricey I would look at Yusei Kikuchi. I would also see if the Rockies are interested in trading Jon Gray. Since they have a really good rotation, might not cost too much to get him. I think Jon needs a change of scenery. “Would rather re-sign Matt Harvey then Gray. 4.9 ERA is not going to cut it”, but Jon Gray’s 5.12 ERA will? Sonny Gray is just as much of a bounce back candidate as Jon Gray is. His peripherals were in line with his career, and really, he just seemed to have issues pitching in NY. Could just be the pressure there. Also let us all chuckle that both of these guys are in really in the gray area in terms of SP’s ?(?¯??). Is everyone certain that the fixer they hired as pitching coach could not improve our young guys to the point that signing 30 year old plus pitchers to 3 to 5 year contracts would be a bad decision that would hurt the team in 2 or 3 years. With roster improvements needed at SS, CF and LF couldn’t that money be spent more wisely? Even with 2 of the above maybe 80 wins? I think with all the on field questions and the FO making much better moves the rebuild is finally set in one direction. If they get pitching, it should be a young arm with a track record that comes via a trade of any asset currently available. Exactly my thoughts. I’d like to see what Johnson can do for Stephenson/Reed/Mahle /Finnegan/Romano and even Bailey before commiting too much money and yearson a 30+ middle of the rotation type of guy. I’d target Sonny Gray for Scooter freeing 2b for Senzel and perhaps signing Harvey or Gio Gonzalez in a short deal. And target Andrew Miller if possible. Yes !! And who are the free agents next year !!! The Yankees are willing to give Gray away. To give up Scooter makes no sense. Additionally, I see Reed, Stephenson, Lorenzen, Mahle and Sims as better options than Gray. I think we can stand pat at SS with Jose, and LF with Winkler for this year. SP and CF are much greater needs. May be able to slide Nick in the CF position. RF is ok for now, but could use an upgrade. As others have said, if we could trade for a starter (with at least 2 or 3 years of control) would be good. I don’t understand why there are so few Schebler-believers. Maybe 2/3 of a season is too small of a sample size, but he provided EXCELLENT value last year, wRC+ of 120 with okay defense before the injury, 4 years of control remaining. That’s an incredible asset for a small market, budget-constrained team. Maybe the injury is scaring people, and it’s probably a completely valid concern given how poor his final month of the season was. But RF would be the least of my concerns in 2019. This team has way too many gaping holes elsewhere for RF to even begin to creep up on my radar as needing to be addressed in 2019. In 2021, if he’s hovering around league average? Sure, let’s look at upgrading then, but not now. It’s unfortunate Schebler suffered the injury. His pre-injury performance was one of the most overlooked bright spots of the 2018 season. You’ve got to let the dream of 2016 die. That crop of young pitchers is not to be relied upon for 2019. If they can level up to a rotation that has vets like Gio or Happ or Keuchel, then that is what we want. No way is Reed going to project to toe 170 innings of under 4.75 era. Let him SURPRISE us, but he has not earned trust. If they have 30 m, they can get Gio and Happ. They need more quantity than quality on balance. I’d much rather see them sign players to stabilize the franchise than ship out players – even the struggling young ones. It’s just begging for a hole in the pipeline in 2-4 years. Play it safe and keep all the depth you can possibly keep. 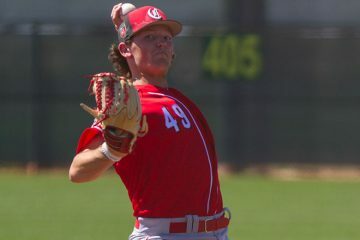 Reed, Stephenson, Romano, Mahle, Sims, Mella, Lopez, Herget – they can all have a role to play on a good 2019 Reds team as they continue to approach their prime. This team needs an Aaron Harang, Bronson Arroyo, Edison Volquez type of 1,2,3, then they can fill in the rest with young Cueto / Leake types and let them decide with they can perform. They’ve had 3 years to do so. Didn’t look good. As you see, there is no way around signing 2 FA pitchers in order to stabilize the rotation. Just a few quality arms would go a long way to building a future for the Reds. No need to deal from the prospects who were drafted highly and have much higher value than the FA money spent on pitching. Whoever the Reds get, trade or FA, assuming equal chances they get injured, you’ve only lost money with the FA, but the trade has gutted your system and now you have a bum arm. Way worse outlook at that point! I think all this could still be accomplished for 130ish Million. Iglesias WAR is less the Jose Paraza’s. Pay more money for less is not good. Nathan Eovaldi would be a good signing, if we can afford it. I like The Robbie Ray idea. WAR is an approximation, and the fact it thinks Jose Peraza is better than Jose Iglesias is the final nail in it’s coffin of any truth or relevance. You can’t run a mlb team like a dollar store. This is just one of the cheapest owners out there. Payroll should be 150 mil. If you’re competitive, the fans will come back . Nice to spend other peoples money. Anyway. The Average is about 140 Mil, so we are moving in the correct direction. I agree with this. Bailey and Scooter and Hamilton gone after 2019. Make a bump in 2019 happen now. Can’t wait any longer. A few people suggesting DFA-ing Billy Hamilton but how much would he be a positive for free agent pitchers? A big part of my pitch for free agent pitchers concerned about the dimensions of the ballpark would be around defense – Billy Hamilton tracking everything down in the outfield, 2017 gold glove winner Tucker Barnhart behind the plate, Votto and Suarez on the corners, Senzel coming through. If you cut Hamilton the defense starts to look pretty brutal. That’s not a good look for attracting free agent pitching. Billy Hamilton helps with neither of these. aj pollock has only played more than 120 games in a season 2 times out of last 7 years. would not mind a gio gonzalez signing to see what magic new pitching coach can continue to work with him. 2 years. would then like to see what the pitching coach can do with young arms. mahle, stephenson, reed. easy to beat on bailey but do believe i have read that his peripherals not that bad. we own him and have to see what this is all about. new hitting coach had a lot of big boppers in los angeles… not counting on him to help billy. dfa. scooter for prospects. not going to win this year. I agree with most of this, but let’s not make this new pitching coaches job any harder than it needs to be. He’s inheriting the worst Reds staff ever. Get the guy a few arms to rely on so he can actually do his job. While I’m sure that this number is not far off, Daugherty only refers to the ‘apparent 30M bump’, which might also include arbitration raises and eating Bailey’s option year. For all we know, it may be 20M or 45M–and I’m guessing closer to the latter–but careful about reporting someone else’s speculation as “reportedly”. Bobby Nightengale said that it was what Daugherty was “hearing”. So, unless we believe that he’s just making up that he was told that…..
Maybe Doc has spent so much time with Marvin and the Bengals that he sees better than he hears? If AZ is in rebuild mode lets help them out. Greinke will be cheap like Stanton was last year. Contract is just too big. Greinke and Ray to the Reds. AZ agrees to $10 million in 2020 and 2021. India, Trammell, Bailey, Stephenson and Reed to the Diamondbacks. This leaves you with 15 Million for 2019. Go out and get Adam Ottavino or Craig Kimbrell to assist in the bullpen.